for $339,000 with 3 bedrooms and 2 full baths, 1 half bath. This 2,128 square foot home was built in 2007 on a lot size of 0.40 Acre(s). Beautifully designed 3-bedroom/3-bathroom end unit located at the base of Hunter Mountain! Recently built, high-end appliances, beautiful hardwood oak floors, extremely affordable HOA's, Master en-suite with jacuzzi. A perfect rental property or use it for your own enjoyment! Open floor plan provides a wonderful place for entertaining guests. 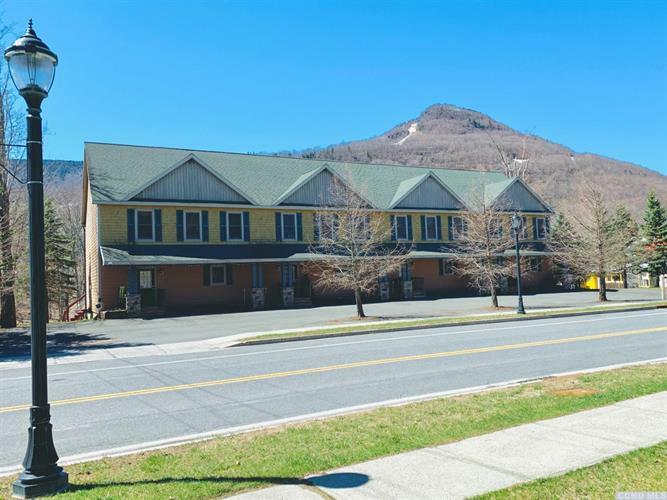 Enjoy the beautiful mountain views while gathering with friends on your back porch that overlooks the Schoharie Creek or take a short walk into town for a quick bite to eat. Full basement ready to finish. Excellent investment opportunity! Must See!